Here’s what’s happening in the world of television for Wednesday, July 25. All times are Eastern. 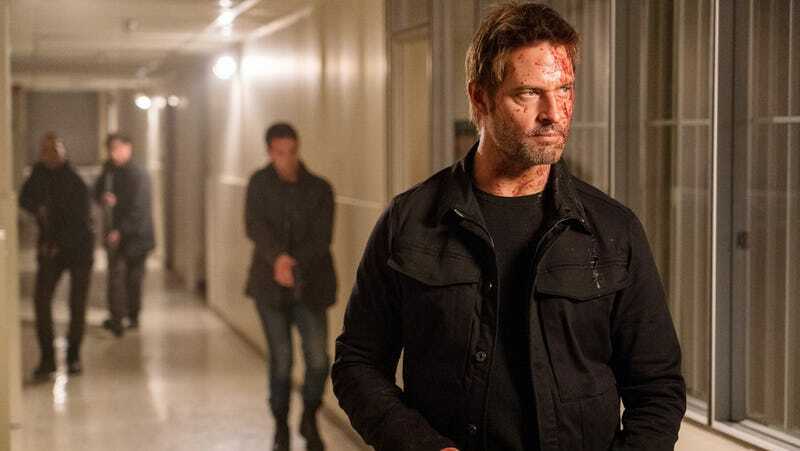 Colony (USA, 10 p.m.): This is the season finale of Colony, but as of yesterday, it’s now also the series finale. The critically resurgent but chronically under-seen show is wrapping up its third season with a cancelation notice from USA. The current arc has felt like two years’ worth of story in one, as the fight against alien overlords has turned its attention to the messy realities of the various human factions trying to carry on some semblance of life within the Seattle colony—and the secrets contained therein. Tune in to find out just how much of a cliffhanger we’re going to be stuck with as the grace note of this flawed but fascinating series. Castle Rock (Hulu): Welcome to the world of Stephen King! No, really—this TV universe is made up of places and characters found in the writings of the prolific horror author, making the whole thing a giant game of “spot the reference.” Shawshank prison plays a large role in this latest round of mystery-box storytelling (not coincidentally exec-produced by J.J. Abrams), and features characters with last names like “Torrance,” so take that for what it’s worth. Hulu is releasing the first three episodes today, and our own Emily L. Stephens will be weighing in on how needful this particular thing is.